Your Cajun series has really taken off. What do you see on the horizon for your writing? More of the same in regards to the genre type, the romantic suspense/mystery/thriller I’ve become known for. My Cajun series, or The Degrees of Darkness series, following my main characters Detective Remy LeBeau and Cody Lewis has wrapped in four books. The final book, Reckoning, releases March 31 during a special promotional event for my second book, Retribution. It was bittersweet to finish this series, since the characters have been with me for a long time and I spent many years trying to sell the series idea. When my publisher Crimson Romance picked it up in late 2012, they wanted all four books, which shocked me and made me happy, too. Now it’s all over and it’s time to move on. Though I do have an idea or two for some of the secondary characters in the series, but right now they’re going to wait. I’m moving on to another book that is really pushing me out of my comfort zone, but not so much. I’ll tell you more about later. I’m the wife of a National Guardsman turned Ag teacher/FFA advisor, teaching, ironically, in the same school where I went to school. I’m the mother of 4; two of which happen to be teenage boys; a daughter, who I call Cowgirl in Training; and our youngest son, who is the copycat of his father. Add in the bevy of pets we have and that’s us. Not as much. If anything about it has changed, it’s that I seek out authors who write in the same genres as I do, and I glean from them. A new book for a possible new series. Right now I’m calling it Atonement, same mix of romance/suspense/mystery/thriller as my Degrees of Darkness series, but the focus is more on the heroine this time. I’m really stretching my writing muscles on this book because I’m delving deeper into something I’ve only scratched the surface of in past books, and that’s the topic of PTSD. And I’m playing with the idea of someone taking it to the extremes when you break the Ten Commandments. Well, in my other life I’m a volleyball coach, which I really enjoy doing. Working and training my players is fun for me, too. I enjoy watching some great movies and TV shows with my husband, we’ve gotten into Doctor Who and Justified. I LOVE to cook and bake. While it tends to be time consuming it’s therapeutic for me, especially since I have to make everything we eat from scratch and with whole/real/organic foods. On any given day you can find a slow-cooker prepping homemade yogurt or different foods fermenting in my kitchen, or some kind of meal being made in a crockpot or the stove/oven. When I can I ride horses. And it appears this summer I’m about to delve deeply into the life of a 4-H/FFA mother/wife and spend many days and nights at county fairs and other shows. My characters usually do it for me, with their background and who they are. For instance my hero, Remy LeBeau is a Cajun, which meant I went to Louisiana. Heroine Cody Lewis was from the Fort Worth area of Texas. But with this new book, I’m going home, literally. Atonement is set in rural Iowa in the very area where I grew up and have returned to live. It’s kind of freeing setting a book here because I don’t have to do as much research. Simply because I’m watching him now, but I’d love to spend an evening with Red Skelton. I’ve always loved watching that man, he could make me laugh so hard I couldn’t breathe and I enjoyed watching him laugh at his punch lines before he even delivered it. How to better schedule myself. It’s taken too long to figure this out and getting on a good writing rhythm. It would have been helpful when the deadlines started looming and all the editing that took place in-between. I’m getting the hang of it now—among my personal and working life—and the schedule is working itself out. And if there was one other thing, having a good idea how to market my own books. It wasn’t until after I signed with my agent, Amanda Luedeke, that this all feel into place, but she was able to teach me how to get it all up and going before the first book released. 1.) Do not box yourself into one kind of genre or market. I started out with the intent of being an author in the Christian market, and that never turned out how I expected. My agent and I decided to switch to the general market, and BAM! contracts. You can still be Christian in the general market, I’m still able to sprinkle in my character’s faith and it was well received by my readers. 3.) Never stop learning and growing. Pay attention to things going on in the industry. Those set in their ways are the ones left in the dust. And arrogant people seal their fate the moment they claim they don’t need this or that, or that they’re brilliant writers. Oh, and forget what people say, you NEED an agent if you have bigger plans. Good luck trying to get a good contract without one. What is your book rated? Who is your target audience? For this one, I’d say it’s a PG to PG-13, depending on your level of comfort with the violence and language. 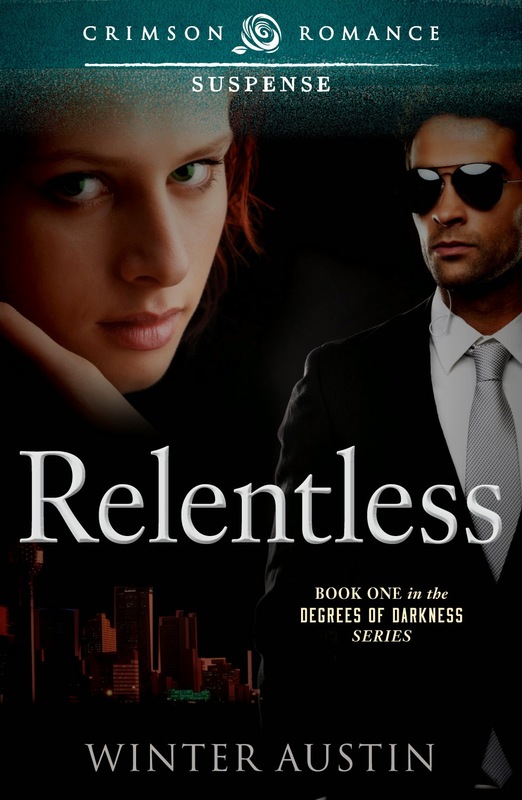 It is a book written for the general market, so treat it as such, but it’s intended for those who like a grittier edge to their romantic suspense and like continuancy series. Ooops. I almost forgot I'm schedule to give y'all a writing tip today, so I'm going to keep it short and sweet. Keep your rear in the chair and your fingers on the keyboard. Even if what you write is garbage, you're writing. You can always go back and improve the words. It's much harder to make up the time lost. Remember: Every word written is one more toward the glorious The End. I push myself to write 2,000 words a day, five days a week. Most of the time I'm successful. I believe this is because I've grown used to the time I spend writing. Not everyone has the luxury of writing full time, but most people can squeeze out 500 words a day. Set a goal, stick to it, and soon it becomes second nature. HAPPY WRITING! Donn's books are packed with gut-clenching action and nail-biting suspense. Blog readers who comment after the post will be in a drawing to win a copy of Deadly Additive. How did you get started in the mystery/suspense genre? After I retired from college teaching I joined a local writers’ group. It was difficult to change from academic writing to fiction, but with the help of colleagues I managed to do it. The result was a suspense novel, The Lazarus File (spies and airplanes in the Caribbean), which has just been re-issued as an e-book. Why suspense and mystery? Those genres seemed to come most naturally. I’ve always loved watching people prevail against seemingly overwhelming odds—and I’ve seen quite a lot of them do just that—so it came naturally to write about things I admire. My military experience led to the quasi-military plots of Lazarus and Deadly Additive; my time on college faculties provided the setting for my mysteries, Rhapsody in Red and its contracted sequel. I liked the Zane Grey westerns and the Sherlock Holmes stories, but overall I'd have to pick Mark Twain's Life on the Mississippi. I still remember his expurgated oaths of the riverboat pilots. Do you have a favorite from the books you've written and if so, why? No favorite. Each novel has its own quality. I like the flight scenes in Lazarus, particularly the night flight scenes. But then I like the night-fighting scenes in Deadly Additive and the wacky faculty meeting scenes in Rhapsody. Did you have an imaginary friend as a child and if so, do you think that "friend" influenced your desire to write? No. As a child I was too busy tearing around the yard and neighborhood all day and getting into trouble. I didn't have time to conjure up an imaginary friend. Is there a living person who influenced your writing? How? What was the best writing tip you've ever received? No contest on this: read, read, read, not only in your chosen genres but anything that broadens your knowledge and perspective. Lately I've been reading Thomas Sowell's Basic Economics, though I never plan to write on that subject. Before that it was Mark Moyar's brilliant history of the early Vietnam War, Triumph Forsaken. Recently I've read a treatment of George Washington's spy rings in the Revolutionary War and I'm about to tackle Dr. Ben Carson's America the Beautiful. I mention these to make the point that something good is going to fall out of that kind of reading, usually at an unexpected time, to enrich my next novel or two. What is the best tip you can give someone new to the adventure of writing? What is the best "life" advice you've ever received? Something that is very simple in theory and very difficult in practice, what with all the everyday distractions from things that at the time seem so critically urgent. "Seek ye first the kingdom of God, and all these things shall be added unto you." It's hard to keep that perspective. All in all, I think I'd rate them G. But that doesn't mean that they're bland. They confront problems of good and evil head-on and without pulling any punches. They have references to sexual evils, but I never ask the reader to enjoy anything vicariously that he shouldn't. They have portrayals of violence, but I don’t ask the reader to enjoy the bloody details. They are designed mainly to entertain (which should be the purpose of commercial fiction), but they also have solid backgrounds of theology and philosophy. To soldier-of-fortune Jeb Sledge it seems like a simple job: Rescue an heiress and her journalist friend Kristin Halvorsen from their kidnapping by Colombian guerrillas and collect a sizable paycheck. But Kristin has other plans. After stumbling onto a mass of dead bodies, she won’t leave Colombia without the proof she needs for the story of a lifetime. While she and Jeb wrangle over her obstinacy, they discover a hidden factory where the guerrillas build a new and deadly type chemical weapon for the international black market. Their discovery triggers a raid on the factory, followed by a desperate search through the Caribbean and the U.S. to prevent a catastrophic attack by weapons the factory has produced. But who is behind that attack, and what are the planned targets? 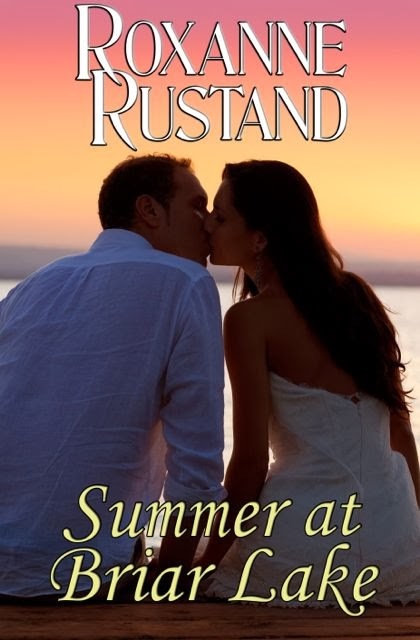 Finding out brings Jeb and Kristin again into peril for their lives. But more than that, it launches them on an unexpected spiritual odyssey. Donn Taylor led an Infantry rifle platoon in the Korean War, served with Army aviation in Vietnam, and worked with air reconnaissance in Europe and Asia. Afterwards, he completed a PhD degree at The University of Texas and taught English literature at two liberal arts colleges. His mystery novel Rhapsody in Red and his suspense novel The Lazarus File (spies and airplanes in the Caribbean) received excellent reviews. The poems he published in various journals are collected in his book Dust and Diamond: Poems of Earth and Beyond. He is a frequent speaker for writers' groups and has taught poetry writing at the Glorieta and Blue Ridge conferences. His current teaching crusade is to promote the writing of good-quality poetry that's accessible to ordinary readers. He and his wife live near Houston, TX, where he writes fiction, poetry, and articles on current topics. 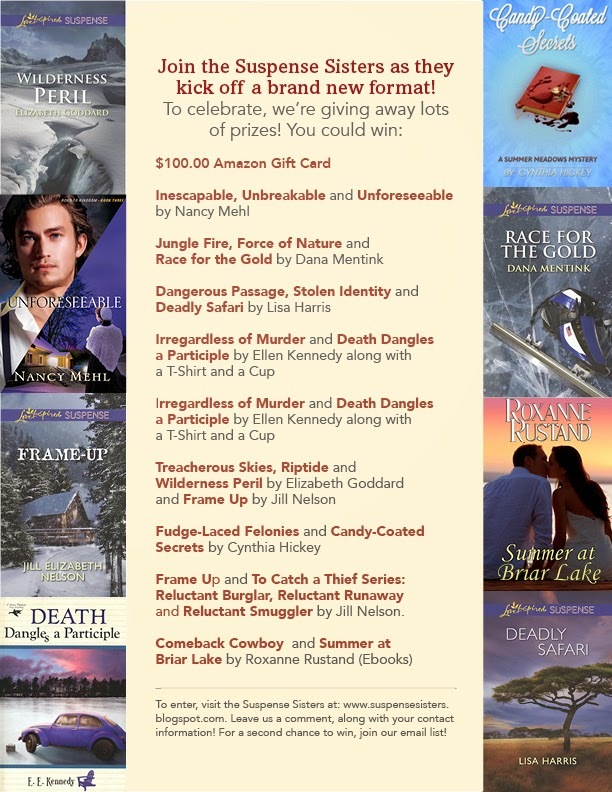 Remember to leave a comment, along with your contact information, for a chance to win a copy of Donn's book, Deadly Additive! Nancy Mehl lives in Festus, Missouri, with her husband Norman and her very active puggle, Watson. 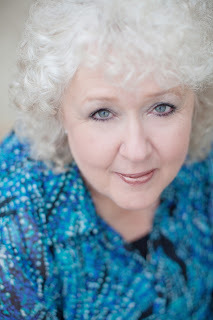 She’s authored fifteen books and is currently at work on her newest series for Bethany House Publishing. 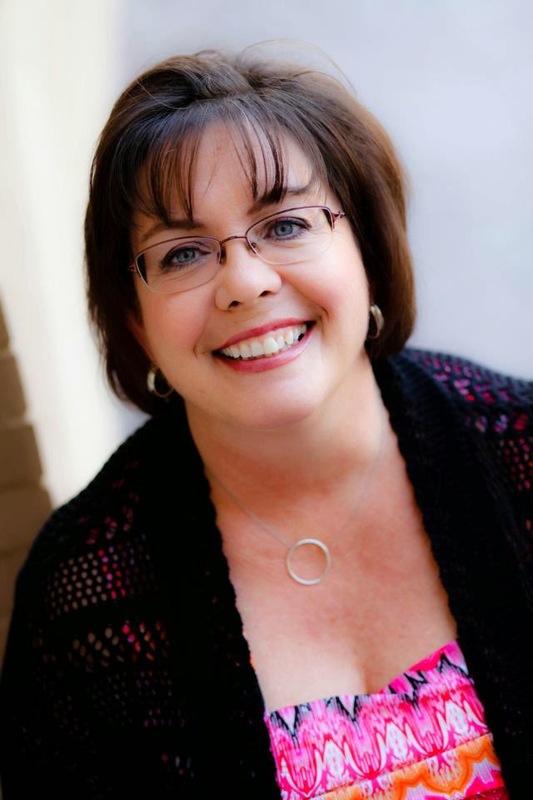 Let’s talk about book signings. I can still remember the days when I toted my print-on-demand book to the local Borders and tried to convince them why they should carry it in their stores. Actually, I didn’t have a lot of trouble because I was writing book reviews for our local newspaper and actually sending business their way. But some of my friends didn’t fare quite as well. And even though the bookstores would usually accept my books, albeit grudgingly, there was still the stigma of not being “good enough” to make it out of the “local interest” area and onto the main shelves. Back then, we were convinced the way to “make it” was to get Barnes and Noble to allow us to have a book signing amid their hallowed halls. Heck, we would have been happy if Bubba’s Used Bookstore set aside an hour for us while Bubba took his daily nap. Book signings were directly related to your success as an author, right? Okay, now let’s leave the Twilight Zone world of newbie authors and enter reality. I’m Nancy Mehl, and I’ll be your host. My first real book signing was at Waldenbooks. I had a book published by a small press, and I also had a publicist. And…the folks at Waldenbooks actually wanted me! (You like me, you really like me!) I showed up, nervous as a calf at a new gate (what does that even mean? ), but ready to greet my adoring fans. Waldenbooks had a table set up in the entrance to the store, facing the interior of the mall, with my beautiful books on display. As I sat down, I expected the line of eager readers to snake down the mall and block entrances to other nearby stores, I was…well, let’s just say…surprised. No one was there. Even worse, as people walked past me, I began to wonder if I was trapped in one of those dreams where you begin to realize you’re invisible and no one can see you. (Thankfully it wasn’t the one where you also realize you’re naked!) Now I’m not saying no one stopped. I directed several people to various places in the mall, including the bathrooms. I would say that particular request was the most frequent. Those who actually stopped to see what I was doing and picked up my book, looked at me like I was trying to sell them tickets to a rattlesnake rodeo. After a while I felt guilty about the whole thing. Not sure why, but I did. Thankfully, several friends and a few family members stopped by, had pity on me, and bought a copy of my book. After my very painful two hours had passed and I’d only sold twelve books, I expected the folk at Waldenbooks to tell me to never darken their door again. But they seemed happy! “Good signing,” the gal said when I dragged myself inside the store, ready to admit defeat. I’m sure my jaw dropped, but I quickly regained my composure and tried to look triumphant. Her reaction should have given me a clue to the reality of book signings, but being extremely sharp, it took me a while to figure it out. Yes, now that I’m with a large publisher, book signings are much better. I had a great kick off celebrating the release of one of my books. The store went out of its way to support me. Sent out postcards, put my name on the store marquee, had flyers from my publisher on the doors. In fact, they even made a cake with my book cover on it and served food! What more could anyone ask? And we sold lots and lots of books! Unfortunately, a lot of them still went to friends and family. But my last signing in this same store…and let me emphasize LAST signing…was awful. The store did…well, nothing. No name on the marquee, no postcards, they didn’t even bother to put my posters on the door. I may have sold ten books. Thanks again to familiar faces that were starting to show signs of book buying weariness. Last year I went to a book signing for an author who is very well known. Same store where my LAST book signing was held. They managed to find her posters and put them on the doors – but little else was done. In fact, they hadn’t even gotten the books in for the signing. There she stood, one of Christian fiction’s top authors, without the minimal support the store should have provided. And in conclusion…no more signings unless the store specifically asks me or it’s a multi-author event. (See picture below!) It ain’t worth it. It doesn’t make you enough money to take the family to McDonalds. In fact, if you want to sell books yourself, sell them outright to your friends and family and pocket the money. Your friends will be relieved since it will save them a trip. Sigh repeated. (Getting a little light-headed, here.) I’ve learned that my publisher can get my books out better than I can. So, I’ll stick to the writing and let them do the book selling. So, for those of you just starting out, take my advice. Unless your ego needs a beating, put your energy into writing a great book and don’t worry about book signings. Your friends and family will probably salute you. Here’s a fun video about book signings. *Not all book signings are terrible. 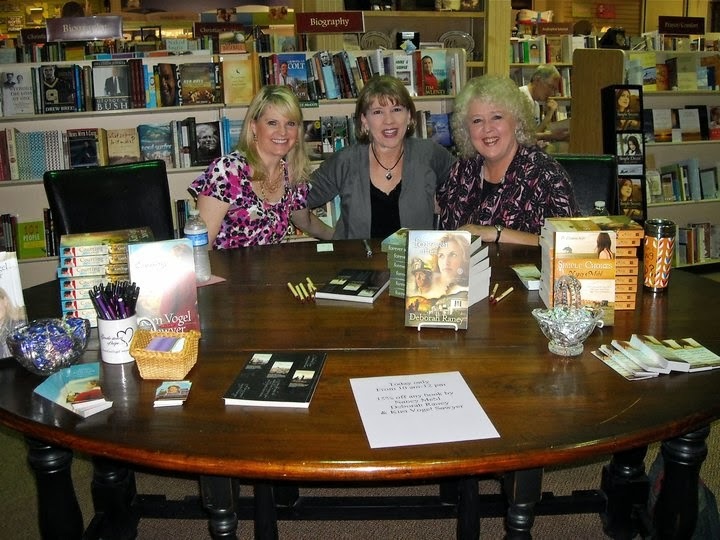 Here's a picture from a wonderful book signing with authors Kim Sawyer and Deborah Raney. Sharing the spotlight with these gracious ladies made the event fun, exciting, and worth every minute. I typed the first word of my first novel on April 21, 1996. It was a weekday, and I had just dropped my youngest child off at preschool. I do. I am a certified paralegal and a former member of the Texas Bar Association Paralegal Division. I’ve also worked as a literary publicist. It was August of 1996 when I attended my first Romance Writers of America meeting. Standing up and introducing myself then talking about what I wrote was daunting, but when I left that meeting, I felt for the first time like I was actually a writer. I write contemporary and historical romance in both novel and novella length. I have also co-written two nonfiction books on divorce and empty nest with the fabulous Janice Thompson. Something that involves reading, preferably in a beach chair with my toes in the sand! Louisiana, 1890—Sarah Louise “Sadie” Callum is a master of disguise, mostly due to her training as a Pinkerton agent but also from evading overprotective brothers as she grew up. When she takes on a new assignment with international connections, she has no idea her new cover will lead her on the adventure of a lifetime. 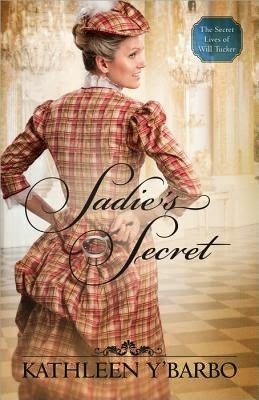 Undercover agent William Jefferson Tucker is not looking for marriage—pretend or otherwise—but his past is a secret, his twin brother has stolen his present, and his future is in the hands of the lovely Sadie Callum. Without her connections to the world of upper-crust New Orleans, Jefferson might never find a way to clear his name and solve the art forgery case that has eluded him for years. I’ve had a character like Sadie on my mind for awhile. I loved writing about the spunky heroine Eugenia Cooper in my novel THE CONFIDENTIAL LIFE OF EUGENIA COOPER, but I’ve always wanted to turn that type of character into a detective. With Sadie, I had my chance. When I set out to write the series, I had no idea the theme of redemption would be repeated throughout. However, looking back on these books, SADIE’S SECRET in particular, I believe that the knowledge that no one is every too far away from God is the overarching message here. Redemption is always possible, but it comes only through the Lord. Sadie is my favorite character for so many reasons. She’s a spunky heroine who manages to carry out her Pinkerton duties while eluding the prying eyes of her five overprotective brothers. Of course! I’ve surpassed the 50-book mark, so now I have set my eyes on publishing 100 books. It took almost 15 years to get to 50, but I’m hoping it won’t take as long to reach 100. It’s funny you should ask because I just admitted one of these to someone on social media yesterday. I have always wanted to visit the Museum of Modern Art in New York and the Smithsonian in Washington DC. Having all four of my grown children—who are currently spread out between two foreign countries and two different cities in another state—in the same room at the same time is another bucket list item. The hardest thing I have done is raise my four children, not because it was difficult (I adore them all), but because the responsibility of sending four well-adjusted and independent adults off into the world was so very daunting. I made many mistakes, but oh, how I loved those years parenting my three sons and daughter. Yes. Thank you so much! I love this blog and am thrilled to be featured on it! 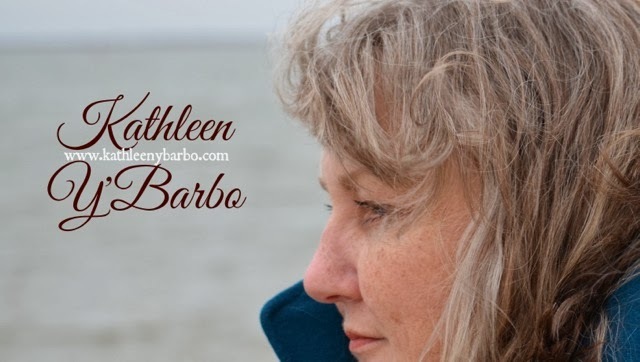 Leave a comment, along with your contact information, for a chance to win a copy of Sadie's Secret by Kathleen Y'Barbo!